With Mission: Impossible – Fallout breaking box office records this past weekend, Kyle and Ben sat down to figure out the now 6 film, 22 – year old film franchise. Kyle’s review for Fallout is here, so another review was out of the question. Then they thought about looking at the ‘secret agent’ competitive landscape and locked in on the Bourne film series, something that has nearly paralleled the Mission: Impossible films but is just as popular. What follows is an exploration of their favorite entries from both series and how the two franchises compare with one another. Both have diverged, but they have also remained consistently fun. BEN: There is one primary difference between Jason Bourne (Matt Damon) and Ethan Hunt (Tom Cruise) – Jason’s mind was chemically altered to turn him into the fighting machine that he became and he finally freed himself of those shackles after a mission goes wrong, causing retrograde amnesia. His mission was to discover his own identity, which takes three movies to accomplish. Ethan, on the other hand started out his film life as a suspected mole when his IMF (Impossible Missions Force) team is wiped out during an exercise in Prague. Ethan is a charismatic, literate and ultimately patient agent who only acts when acted upon. Despite being a ‘weapon,’ he is very clearly in charge of his own destiny, which gives the character a humanity: he can quickly calculate odds and think of alternatives on his feet so as to preserve his team. Ethan has felt the sting of a loss in one of his trainees in M:I 3 which only serves to reinforce his efforts to preserve others. Jason is always a moving target, but that’s because the government perceives him as a threat, a rogue that they cannot control. Ethan has the same attributes, but his methods always justify the means. KYLE: I agree and I think the difference between the two points to the duality of each series. Bourne is more fist to cuffs and chase sequences while MI is more large action set pieces and jaw dropping stunt work. Despite these differences in…scale, at their core they both explore the concept of identity through the lens of shadowy government agents. BEN: Both film series have strong foundations in their first entries. Doug Liman’s The Bourne Identity based on Robert Ludlum’s novel is frenetic at best, but it has a strong set of supporting characters, a love interest for Bourne and the danger for the characters never lets up. It has an intelligent story that fits the time, something producers were worried about with the events of September 11th. 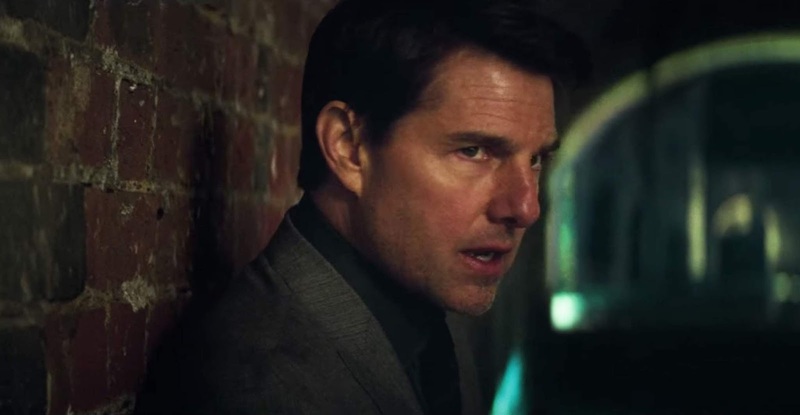 Six years prior, Brian De Palma’s Mission: Impossible hit the silver screen. The story moves at a fast clip and though the twist is telegraphed a mile away, the story is intelligent. There’s an elegance in the danger that De Palma puts our characters through, thanks to a script for Robert Towne and David Koepp. KYLE: I remember being let down by the first Mission but when I revisited it and viewed it as a De Palma film, it started to resonate more. I think it’s a bit of a mess plotwise, as you alluded to, but it’s a great example for an initial entry. Identity is probably my favorite in the Bourne series. It was refreshing seeing Damon step into a different kind of role and I loved the grittiness of the presentation and how self-contained the experience is. I think that is the fundamental difference of the two: scope. BEN: The second entry in each of the series sees a stylistic approach, though the stories diverge wildly. Paul Greengrass steps into the director’s chair for The Bourne Supremacy. He’s been off the grid for nearly two years and his past continues to catch up with him. Greengrass’s use of the shaky camera creates an action that keeps flowing from scene to scene. It does become one long chase movie, but it’s smartly done. There’s an economy about the editing and the cinematography that just works, rather brilliantly. In fact, The Bourne Supremacy is my favorite in the Bourne series. KYLE: Supremacy left me a bit underwhelmed, but it’s more of a gap film if we’re being honest. I adore Greengrass’s style and I think it was the right move for the franchise. However, and I know I’m a heathen…I love Mission: Impossible II. Aside from being a die-hard Woo fan, something about this one just works for me. It’s campy, frivolous, and lame at several points, but the gunplay, the things you mention above and the final fight on the beach are sequences that keep returning to often. Cruise did a lot of work to prepare for this and his execution shows it. BEN: The third act for both series represents a milestone. 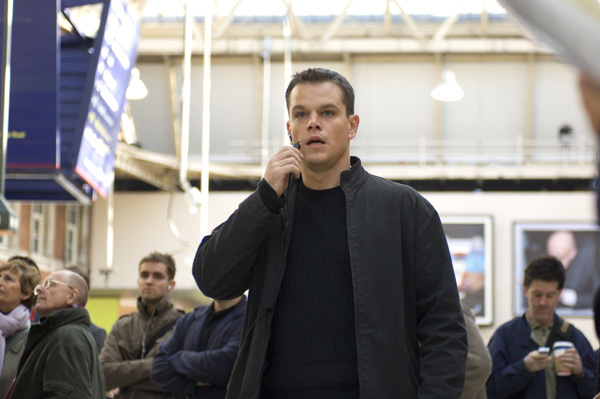 For Bourne, it is the conclusion of his mission to discover himself. Greengrass returns for The Bourne Ultimatum which is another long chase movie, which doesn’t flow as well as “Supremacy,” but that’s partly because we know Bourne’s journey is coming to a close. What’s unique about Ultimatum is that it really is the series’ lynchpin – it ties together all the parts that have been in motion and it is a direct continuation of the events in Supremacy. Yet it also acts, as does JJ Abrams’ Mission: Impossible III as a soft reboot of the film series in that it created new opportunities to tell stories of the same caliber as Bourne but with new characters. Abrams’ Mission: Impossible 3 changes the tone of the series and has a much stronger villain. It’s a technically proficient movie as well. KYLE: MI:III is my least favorite of the series. Aside from Hoffman’s inspired performance I really don’t find many reasons to revisit it. Ultimatum was a good ending, but everyone knew the Hollywood gods would require a further tithe, yielding yet another sequel. I liked that Bourne’s story had a natural conclusion and I thought the color pallet was akin to a Mann film. Overall though, for me, these are both forgettable affairs, outside of their conclusions and what came next. BEN: With change behind us, the Mission: Impossible series finds its stride while Bourne’s Legacy fumbles, though Jeremy Renner stars in both and he is capable in both. Mission: Impossible – Ghost Protocol is my favorite entry in the series because it doesn’t look in the rear-view mirror, it only looks forward and it does so at a break neck pace. The story is as intelligent as the first, but it amps up the humanity and Renner’s character is a welcome addition. Doug Liman is back for Bourne Legacy suffers from a deplorable story, which latches on to “Ultimatum,” rather than becoming an extension of it. Much like the weaker “Impossible” entries, there are still things to like about “Legacy,” namely Renner. KYLE: Renner’s potential was really wasted in Legacy, and it really is the worst kind of cash grab studio maneuver. Ghost Protocol is an amazing film and the first signal that this kind of pictures can be something more. Of course it features all the action and explosions that one would expect, but there’s also a level of emotion under the surface and I really respect it for it. BEN: While the Bourne franchise took a hiatus, a Rogue Nation formed and Hunt and team were tasked with tracking down The Syndicate, a staple of the Bruce Geller series the films are based on. Mission: Impossible – Rogue Nation amps up the action and the characters in Christopher McQuarrie’s first entry. Its story is not as strong as Ghost Protocol, but its look and feel are on par and Cruise just looks like he’s having fun on the screen. KYLE: This film is amazing. The entire Opera sequence is jaw dropping and could stand on its own as one of the best sequences out of all six films. I wasn’t sure the previous entry could be topped, but this film signaled not only how dedicated Cruise is, but it also revealed McQuarrie as the talent that he truly is. BEN: Jason Bourne returns. Literally. Paul Greengrass returns for what is the last entry in the Bourne series. The cast is wonderful, but the story was exceptionally flat. Tommy Lee Jones seemed insufferable and Alicia Vikander seemed out of place. By this entry, Bourne had become Indiana Jones: the hat barely fits. KYLE: I really liked the Vegas sequence, but that’s about it. BEN: Not to be outdone (okay, maybe outclassed), Hunt and his IMF team are back in “Mission: Impossible – Fallout,” now in theaters. Christopher McQuarrie is back and it is breathtaking. KYLE: My favorite film of the franchise and one of my favorite films of the year thus far. There’s so much thrilling action, it brings a living rhythm to the screen. While the bathroom confrontation is one of the best melee fights of the decade, the helicopter finale is a thing of beauty, not to mention the gaudy ambiance of the White Widow’s auction. Just stunning setpiece one after another.